Ghosts'n Goblins GX4000 final alpha version ! 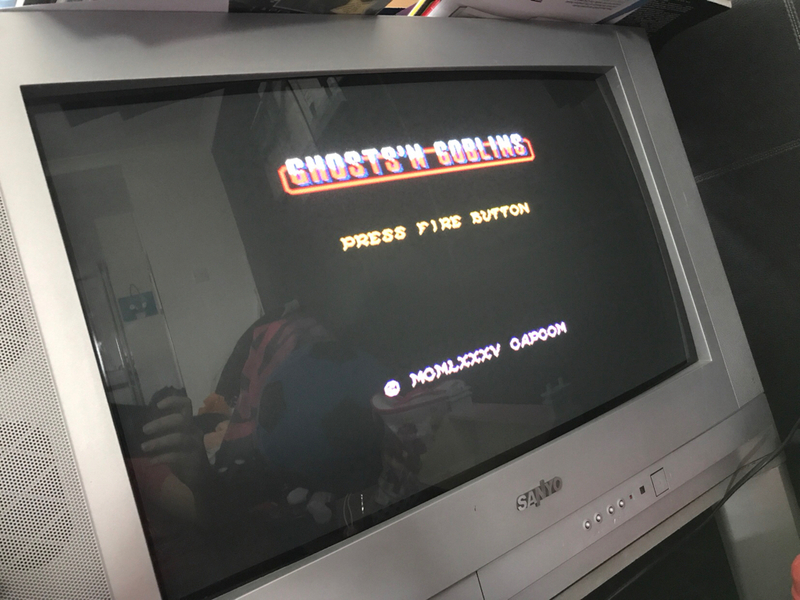 The time has come to my version of ghosts'n goblins on gx4000 to be released ! Thanks to the people who helped me ! The game is not perfect, but playable, and i hope people with c4cpc will play it on real hardware ! EDIT : i discovered a bug that only happens when you don't beat astaroth (the final boss) at the first time ! So i changed the cpr file to the patched one. 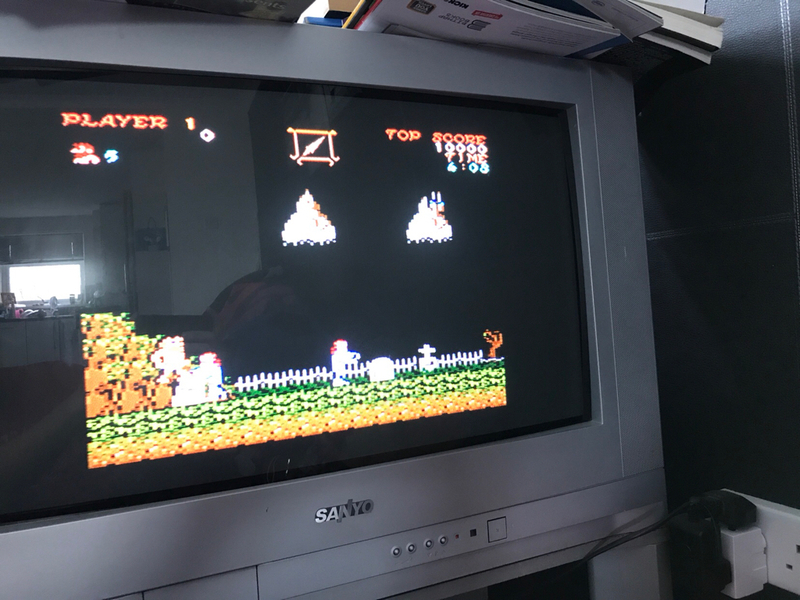 Re: Ghosts'n Goblins GX4000 final alpha version ! Great news, thanks for all your effort and making this available. Is this an initial release? Will you still be working on it to improve it? Superb stuff Xifos! Just played on my 6128 Plus! Love it even if it is just as hard as the original arcade game! So glad you continued and finished this! This is an incredible version of GnG ! As Difficult as Arcade version, i didn't manage to kill the 2 boss of the second level. Many, many thanks for this great conversion ! EDIT: it works even on my CPC464+, is it a 64k only game ? Superb work!! Just tried it on my GX4000, love it! The game is indeed for 64 ko ram and cartridge, it's targeted to the gx4000. When i shoot with weapon which is not a knife, the current shoot cancel the previous. Then if i shoot permanently, my weapon cannot reach the ennemy at the far right of the screen. It's not a bug, it's a feature ! I did that because you can only fire one weapon at a time. I wrote that for joking sorry (final alpha). It's a way for me to say that it could have been better. But for now i don't think i can improve it. Thanks for this, great work. Without question, the best Amstrad GX4000 and Plus game ever made, you must be very proud. I wish you were programming games back in the day I’ve nearly finished it, very close to other versions I’ve played. Without question, the best Amstrad GX4000 and Plus game ever made, you must be very proud. Totally agree, if this game was released at the time of the CPC+, i would have been a mega hit on this computers. Reached third level, i love this game from my arcade memories. Thanks again for CPC+ game. i hope people with c4cpc will play it on real hardware ! Just played it on a real GX4000. It plays really well, great job. This is a real gem and a dream come true for me... Thanks a billion. Had a few more games of this quality been available when the gx4000/plus range was launched it might of stood more of a chance to be successful. Great work. Had a quick look to cheat.... As I said its too difficult for me! Thank you Xifo for your effort.The game is a real gem and back in time you would be working for the games industry.It is an amazing converson.I would like to thank you again and i would like to honor my word and invite you for vacation for 4 nights for 4 persons in my small hotel yet with a 9,8 booking rating.PM me for the details.Everybody should contribute to the community the he can. I am very happy that you did not abandon your project. The result is a very good game for GX4000, which as everyone knows is sorely lacking. Page created in 0.236 seconds with 107 queries.